Because super heroes don't always wear capes, this Personalized Green Scrubs Ornament will be personalized for one save-the-day, scrub-wearing friend! 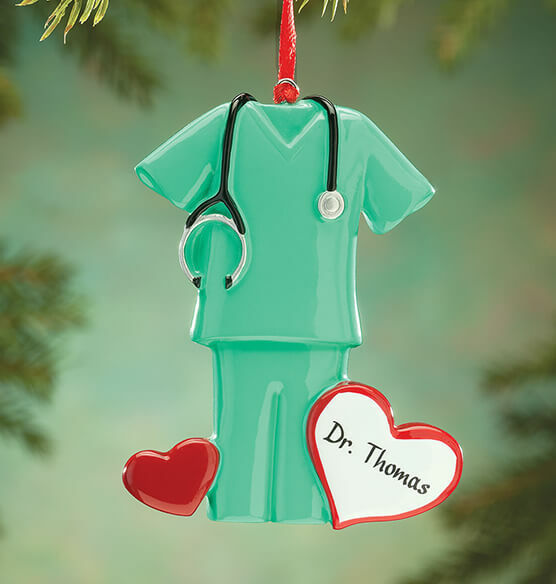 Whether it's a doctor, nurse, PA or CNA who deserves special thanks, recognition or congratulations on accomplishment, this custom ornament pays tribute in a personal way. We'll add one name to the big white heart—creating a keepsake with sentiments from yours. Specify name. Chose this for a high school medical pathway student.